When deciding on your photography location(s), there are a few things to keep in mind. The more time you spend in transit, the more time you are not taking pictures. The result is fewer pictures and potentially less-perfected pictures because of the rush to fit in multiple locations within a specific time frame. We limit our sessions to one location. If you require a second or third location, additional time is necessary. Locations that are busy present complications. In busy public places like Union Square or Pershing Square, it takes time for backgrounds to clear and at times, it’s entirely impossible to get a clean shot. This results in much fewer images and images potentially with strangers in the background. The second thing to consider is that public places are not always the most comfortable settings for you to be in front of the camera. With strangers (and often times security) watching, it’s hard to let your guard down and act naturally in front of the camera. This is another obstacle to overcome and is often visible in the pictures. Photography sessions in Orange County are great because of all of the amazing choices for backdrops. With the unique ability to transition from an open field to a beach or to a mission, all in one session, you have the opportunity to capture portraits that are unmatched anywhere else in the world. Orange County hosts a multitude of beaches with coves, trails, tide pools or other natural backdrops. In addition, Orange County Parks are conveniently located nearby and most have versatile looks. Our approach to Maternity, Newborn, and Family photography is to keep it fun, casual and even goofy at times. 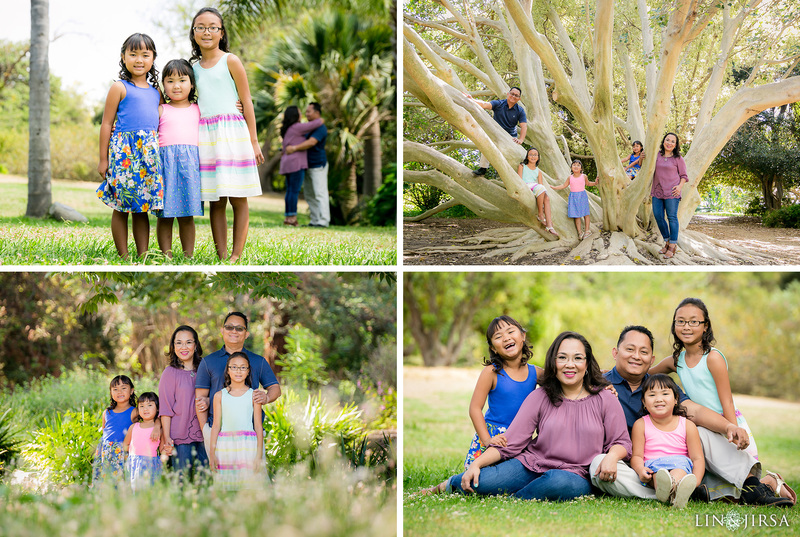 From there, we highlight you against the memorable beautiful Orange County backdrops to capture some of your most cherished portraits. Here are some of our favorite locations, perfect for your next photo shoot. Book us for your next portrait photography session and contact our studio managers here! One of our most requested session locations, Victoria Beach, provides breathtaking tide pools and sunsets. Victoria also features a unique tower near the cliffs – a glimpse to Old California. Best time to visit: Tides and weather play a huge role in when we can access the tide pools. Winter and spring typically are low tide and provide breathtaking views and summer and fall require additional planning as access may be limited due to tide levels. Book well in advance in summer and fall as there are only a few days each month to access the tide pools. Optional 2nd Locations: Downtown Laguna Beach, Quail Hill, and Laguna Canyon. A hidden gem in Irvine, Jeffrey Open Space is a beautiful park with large grass meadows, a tunnel, and mature trees. Best time to visit: Jeffrey Open Space is a well-groomed park and looks beautiful all year long. Optional 2nd Locations: Quail Hill, Laguna Canyon, Downtown Laguna Beach, Victoria Beach, and Heisler Park. Close to Victoria Beach, Moulton Meadows features a large beautiful tree and a wild field. The Meadows make a convenient first location for your beach portrait session. While Moulton Meadows consistently provides scenic views there isn’t much beyond the large tree and simple landscape. If you’re looking for several options for a bright, green, natural look, you’ll want to consider some of the Laguna Canyon locations instead. 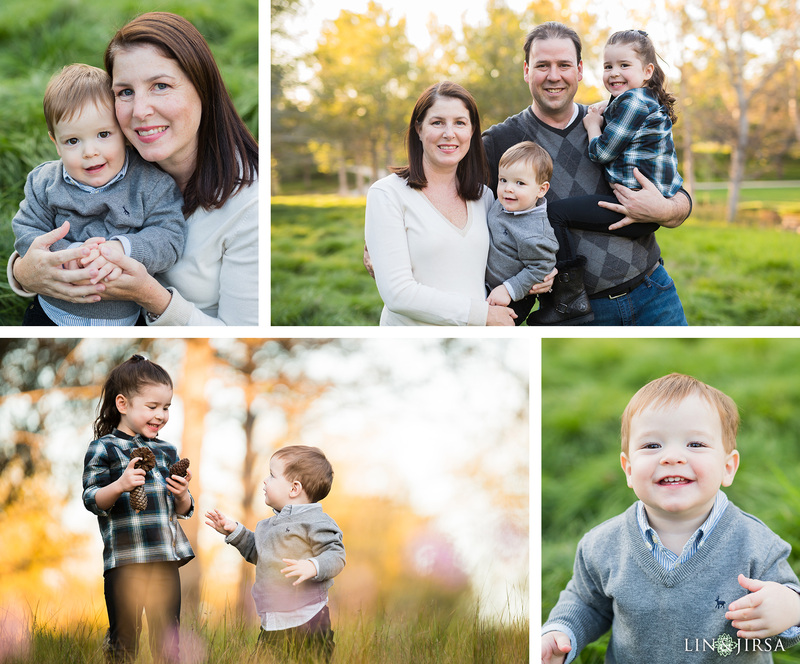 Quail Hill is a large open grassy hillside with an intimate tree grove nearby to add to your session. Best time to visit: In winter, the grass will be green for a limited time and pockets of mustard flowers sprinkled throughout. In spring, the grass turns a golden color accompanied by small crops of mustard flowers. We would not recommend Quail Hill during the summer, especially after the Santa Ana winds flatten the grass. Heisler Park is sunset central. Located on top of the bluff lies the park, known for its beautiful sunsets, coves and tide pools. A botanical garden with a collection of plants from around the world, the Fullerton Arboretum provides a variety of vibrant backdrops to choose from. As much as we would love to photograph your session in each of the plant collections, the Arboretum selects 3 areas perfect for portraits.